Lydia is the favorite child of Marilyn and James Lee; their middle daughter, a girl who inherited her mother's bright blue eyes and her father's jet-black hair. 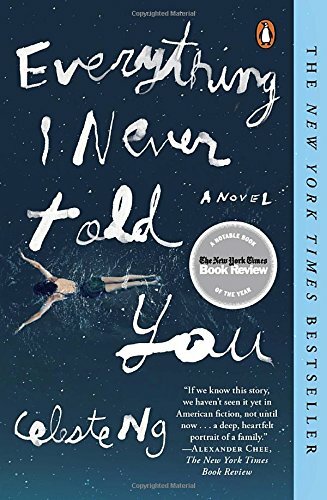 Her parents are determined that Lydia will fulfill the dreams they were unable to pursue-in Marilyn's case that her daughter become a doctor rather than a homemaker, in James' case that Lydia be popular at school, a girl with a busy social life and the center of every party. When Lydia's body is found in the local lake, the delicate balancing act that has been keeping the Lee family together is destroyed, tumbling them into chaos. Released during the International BookCrossing Convention 2017 in Oslo. Took this book with me from the bookcrossing convention in Oslo. I will read this some time. The book is on its way to Sweden. The book has arrived! Thank you!